Gneissmaker was another beloved local band of my youth. They actually thanked me on their one CD. Supposedly, they were about to break up when I asked if they'd play at my sister's birthday party (at the infamous House of Slapstick), but the request inspired them TO CARRY ON. And the rest is very obscure Twin Cities history. I have a thing for the brutal minimalism of a heavy power trio. 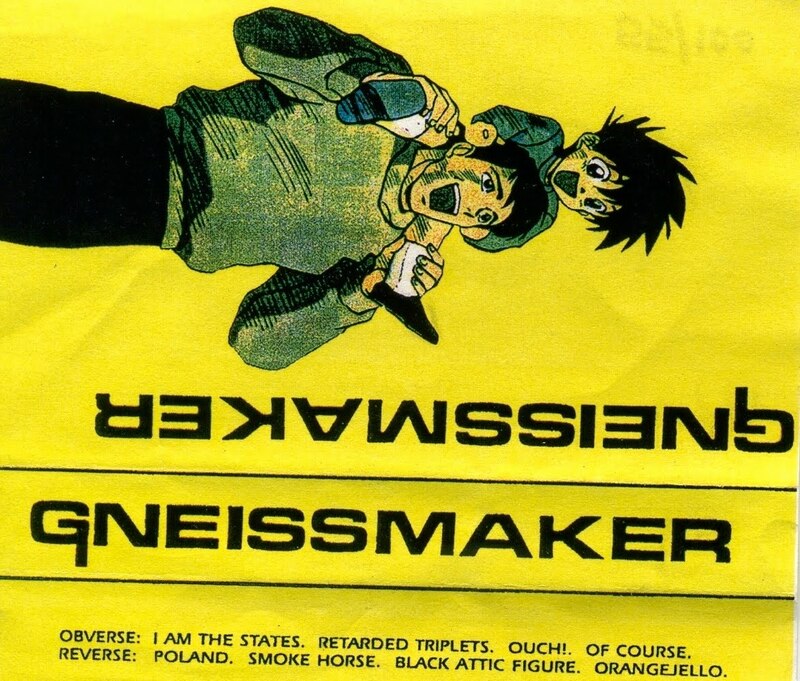 Gneissmaker were a gateway drug to many things, as I was untutored in the metal back then. The bassist was also responsible for a pre-grunge-explosion Melvins playing at the old Alma Mater outside on a Friday afternoon, to a handful of nonplussed students and me, quietly having an aneurysm. You're welcome, Jeremiah. I emailed Tim, Jon & Ethan and they said it was OK to post this.